$50 M of deVere client money was recently locked down in Nigel Green's UAM Fund that he had his secretary Bev Yoemans front. International Advisor reported this astonishing news last week (May 2013). Nigel Green is no stranger to running his own funds into trouble, he has a track record which is documented. I bet 90% of these clients didn't even know it was a deVere fund? DeVere have a habit of being conservative with the truth (as well we know). Search International Advisor- deVere $50 Million client money frozen. There will be much more bad news coming about these thieves, just wait and see. Review #347567 is a subjective opinion of User347567. $50 M of deVere client money was recently locked down in Nigel Green's UAM Fund that he had his secretary Bev Yoemans front. International Advisor reported this astonishing news last week (May 2013). Nigel Green is no stranger to running his own funds into trouble, he has a track record which is documented. I bet 90% of these clients didn't even know it was a deVere fund? DeVere have a habit of being conservative with the truth (as well we know). |Do I have to say much more, just read what deVere is all about below. deVere claim my claim has no merit and I seriosly disagree on this. You have not made a full investigation and I will not go away until you will sit round the table and sort out your short commings. Search International Advisor- deVere $50 Million client money frozen. You'll see the backstage antics behind the scenes, but fortunately for deVere clients authorities have stepped in. There will be much more bad news coming about these thieves, just wait and see. Monetary Loss: $50. I love devere cos thay trane me proper to sell financel producs and earn loadz dosh. I ave a rite good life working like a slave for those t0ssers!! The deVere Group has returned almost £70,000 to an investor after an internal investigation found the client had not received the best advice. According to an article published by This is money, the client was advised in 2010 to invest about 80% of his portfolio into a single fund called the Strategic Growth Fund (formally UAM) The fund’s value subsequently plummeted and was eventually suspended in May last year. 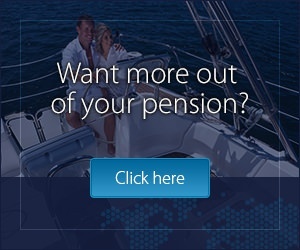 The client only realised there was a problem when his quarterly pension payment failed to arrive in June last year, according to the story, which added that when the client contacted deVere he was informed the current fund value was just £20,063 – and that if he wanted to withdraw all of it, he would be left with just £11,000 after charges. DeVere has now reinstated the pension pot to the £89,000 value it held prior to the fund’s suspension. This is money claimed deVere’s decision to reinstate the capital followed pressure it asserted, however deVere disputed this. In a statement, Nigel Green, founder and chief executive of deVere, said: “I would like to make it clear that it was our investigation into a legitimate client complaint and our subsequent conversations with the client that led to a mistake being rectified; it was not as a result of the involvement of a newspaper, as has been suggested.” As reported previously, the Strategic Growth Fund ran into difficulties last year, although it was never entirely clear why the strategy, which was marketed as a multi-manager fund, began making heavy losses. In the early years it outperformed the market and was considered a fund with significant growth potential. According to one source familiar with the situation, in 2012 the fund manager began investing into a South African private equity company which ultimately performed badly. The owner of the private equity firm was SHOT DEAD in September of that year but, despite this, it is believed the fund manager continued to invest into the private equity firm. Liers, cheats, thieves & scum8ags - these are the decent deVere staff. Be warned, stay clear, you financial future is at risk if you deal with these parasites. Oh dear, Mr Green. Your reputation is suffering and this time is seems to be all your own fault - no jealous ex-employees to blame. I do hope De Vere told these poor clients of the conflict of interest before they invested in this awful fund. Perhaps a regulator might like to investigate? I'd also like to see Mr Green explaining this one in his next YouTube video but my breath is not held. Read this from international Advisor about the disgraced Director Nigel Green. The deVere Group has closed its offices in Cyprus and Luxembourg, and is now looking after its clients in these markets from its Financial Conduct Authority-regulated UK office, a company spokesman has confirmed. "There will be no IFA job losses, as those previoulsy based in Cyprus [and Luxembourg] will be working within and from other deVere Group offices," the spokesman said. The closure of the deVere Group office in Cyprus, which had been located in Limassol, and the one in luxembourg on Rue de la Grève, follows the ending, earlier this year, of the deVere Group's being licenced by Belgium's Financial Services and Markets Authority. It also comes as the company is engaged in a strategic review of its business. As reported, deVere had used its Belgian licence to passport its services into Cyprus as well as Luxembourg. In a statement, the deVere spokesman noted that the streamlining of certain parts of its operations due to local authorities clamping down on rouge companies, however this would enable deVere to "further strengthen its market-leading position", while enabling it to offer a better standard of services and broader range of advice and products to its clients. In March, deVere Group director Mike Coady announced the strategic review, noting that as the company entered its eleventh year in business, “it seemed a good time to step back and look at which markets we want to be in (what he means is, get out of the markets where the heat has been too much) and invest in, and which we might not". One of the first things to emerge from this was the creation of a new “executive committee” (that would be Nigel , Simon & ***)for the company's European operations, to be headed up by Coady, as part of a corporate effort to“raise standards throughout the region” while overseeing business development, best practice policies and corporate governance matters. Since January, deVere has announced it was planning to get out of the Belgium (they were thrown out of Belgium for abuse and blatant disregard of Belgium laws)and Portuguese markets; expand its operations in the UK, Germany and Spain; and enter the Nigerian market with an outpost in the capital city of Lagos. It also said it would expand its operations in Cape Town, Johannesburg, and Accra, close three peripheral South African offices, and relocate its Dubai operation to a larger premises, so that it might increase the number of consultants there by 50%. There is a guy on this site who posts under NONEEDED, he is the one you need to contact regarding bad deVere practice. He played a pivotal part in deVere getting thrown out of Belgium. 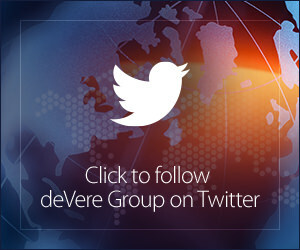 Search through the various posts/replies or write a complaint titled (Action Group Against deVere). Don't use your own email address, register a new one. Also if you are posting from your own PC, Pissed Consumer may disclose you IP Address to Nigel Green. Alternatively you can set up a free Blog? Is there a group of people who are fighting back against the dodgy practices of DeVere, especially in Dubai? We need a group to take legal action. Does one exist? Did you find anything out. I have been caught in their net, lied to etc with regards to my QROPS going into the UAM fund. I have had an interesting meeting with the Financial Investigation Unit of the Royal Oman Police (as I now live here). Who have advised contacting a solicitor before presenting evidence to them. They will then review and pass it on to Interpol and Abu Dhabi Police (where I used to live) for action. Hi I have lost money in the UAM and Strategic Growth Fund. I am looking to connect with people who have experienced the same....and look at practical.....positive ......and maybe legal options. "We think this compliant refers to the Strategic Growth fund. This fund was distributed by UAM. The fund manager is Lancelot. The administrators are Belvedere. This fund was not and has never been managed by Nigel Green nor is it or has it ever been a 'deVere fund'. deVere is a broker and does not have its own funds. " deVere's CEO was named as a partner in United Asset Management (UAM) in the Swiss company register until October 2012, when it was replaced with the name of a partner company called Frontier Holdings in Gibraltar. UAM funds were being promoted to deVere clients for a long time before then. The same changes happened with the registration for Valais Investment Management and Valais funds were also being promoted to deVere clients. Hard to see how funds offered by these companies could not have been "deVere funds", when the deVere CEO had an interest in these companies and when these funds were being promoted to deVere clients. Why did Nigel Green take his name off this company directory, was it because he knew the fund was going 7its up? Nigel has a long history of jumping ship just before the 5hit hits the fan. He always walks away clean, very clever man. Mind you, the fact that 1,000's of disgruntled clients are out there counting the cost doesn't seem to phase him? 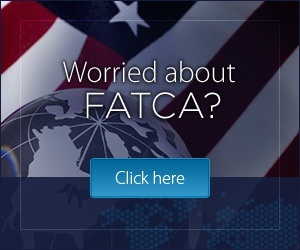 You lying scum8ags, just follow the link above and read International Advisor. This fund was owned 100% by Nigel Green and his secretary at one point (Bev Yoemans). What a joke you lot are. Nigel has a habit of bailing out just before his investors get caught for big financial loss. What happened to Imperial Consolidated Fund? Answers on a postcard please. I have met Nigel Green and was an employee when the UAM fund was suspended. The reason it was suspended? Well, originally set up to mirror 2 JP Morgan funds (so in essence completely unnecessary as you could just buy the funds directly and save yourself paying commission to your "adviser"), at some point in time it decided to step out of its remit entirely and invest in risky property assets. When the rumor came out that the fund was suspending, there was a (futile) rush to pull clients out, but it so happens that this was impossible due to Nigel Green and Mike Coady (both directors) getting preferential treatment allowing them to pull their funds out before every one of their clients. Treating customers fairly? HHmmmmmmm I will let you decide. I have seen advisers "guarentee" returns of 10% per year, 100% immediate uplift in value when transferring a pension into a QROPS, its criminal what they are doing. I worked as an advisor for 2 months before needing to leave due to the massive hole in my pocket and conscience. Despicable company that relies on its international status and transient nature of its client base to avoid repercussion (after all if you get in a bit of a sticky situation, all you do is close down in that country as they did in Belgium and Cyprus or change your name and company structure) It makes me sick that people like this exist, honestly, stealing from pensioners just before retirement. They should do us all a favor and jump off a very tall building. Tails of murder, money disappearing and some very strange goings on. Why would anyone want to invest with this company? They would NOT if they knew the full extent of their activities. Why use companies which are unregulated? With individuals who are unprofessional, unqualified, no understand of finance other than the usual sales pitch? Would you put your money with this kind of people? It is time for everyone to rise against this kind of business which benefits only those doing the selling with huge commissions!!! and you client is getting nothing back...don´t be full for early returns as most of it is bonuses "given" to you by product providers, but which will eventually be taken away from you. Don´t invest in funds from totally unknown companies with no verified track record - UAM from deVere and Imperial Consolidated flogged by deVere as if it were the last piece of bread on Earth, both brought unparallel damages and losses to people who invested in them. DON´T BE A FOUL! !